And so we begin. 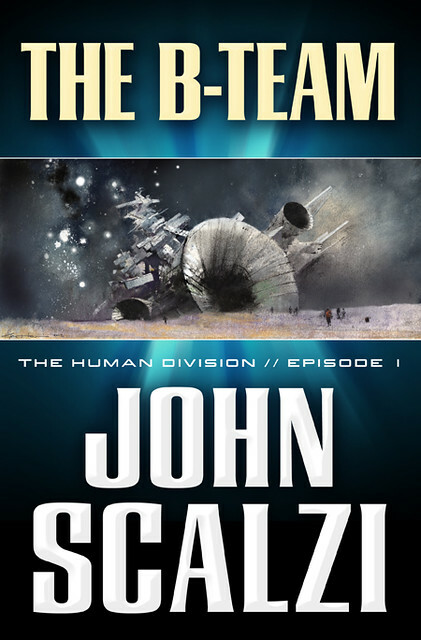 “The B-Team,” the double-length debut episode of The Human Division, my latest novel and the newest book to take place in the Old Man’s War universe, is out today in DRM-free electronic book form, in as many eBook retailers across the world as we could get it into. It will be followed every Tuesday, through April 9, by another episode; there will be thirteen in all. Each of these episodes will tell its own story and adventure and can be enjoyed for itself, but if you read the entire sequence of episodes you’ll see themes and idea arcing through the entire run. It’s an episodic novel.